Letters to the Editor: THINK ABOUT IT! Think about it. 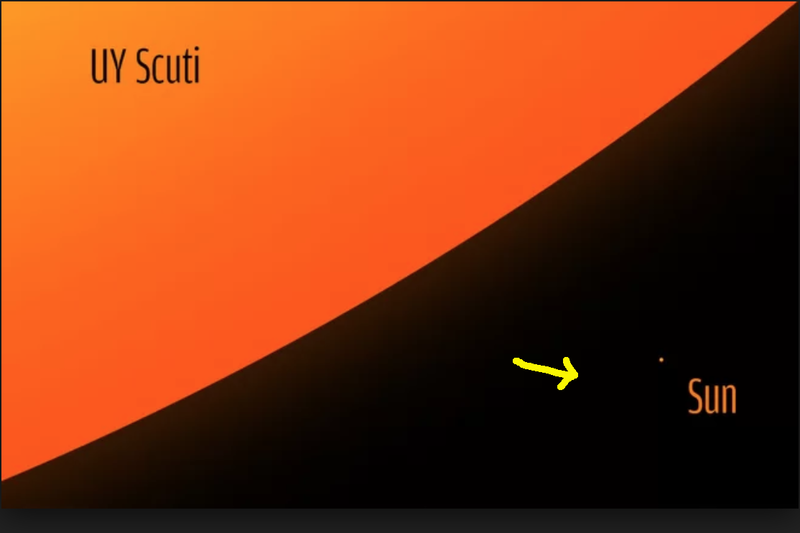 The arrow point out our humble sun against one of the biggest star in the universe.